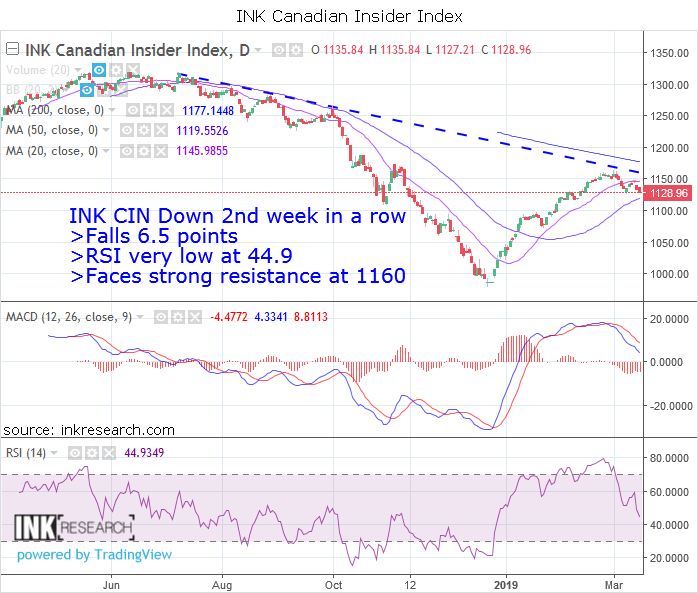 In our March 27th INK subscriber US market update, we noted the divergence in insider sentiment between the Oil & Gas Exploration and Production (E&P) industry and the Industrials sector. The former was behaving in a bullish fashion and remained at a healthy level with our indicator above 100%. That means there are more stocks in the group with key insider buying that selling. In contrast, sentiment in the Industrials was depressed, with our sector indicator in the danger zone below 20%. Industrials insiders were taking money off the table while E&P insiders were adding to their positions. The Industrials sector is home of transportation stocks, a group followed by many market participants. Drilling down to this industry level, we see that insiders in transportation stocks are in profit-taking mode. 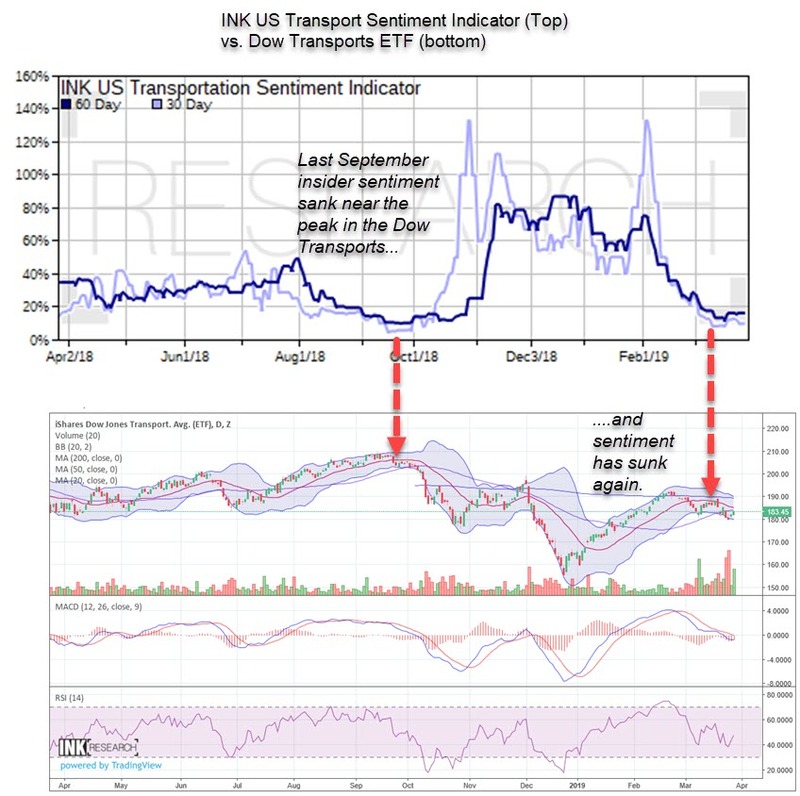 In fact, our Transportation Indicator is back to the depressed levels we saw early last fall, right around the time the iShares Dow Jones Transportation ETF (IYT) peaked. (Updated with chart) - Trump perma-critics should take a step back from their criticism of his nominee Stephen Moore. The latest attacks against Moore evolve around an opinion piece in the Wall Street Journal suggesting that the Fed focus on targeting stable commodity prices. If one believes that the Fed should be targeting consumer price inflation, a concept that is debatable on its own, focusing on commodity price inflation makes more sense than promoting asset inflation which is what the Fed, the Bank of Canada and other central banks have been doing for the past decade. Moreover, where have the Moore critics been as central banking made a mess of asset markets while implementing policies that undermined their cherished goal of reaching 2% consumer price inflation? This week's edition of Canadian Insider Insights is now available: Another Fed egg face. 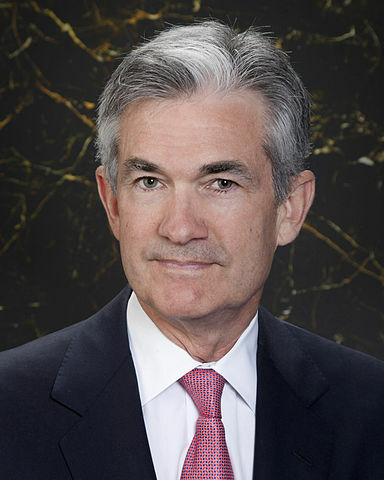 Markets haven't reacted well to the Fed's 180 degree turn on the economy and we take a look at what we are watching now to assess the risks. The weekly archive is here and registration is not required. With the Fed expected to leave interest rates unchanged at its meeting today, short of a surprise hawkish approach towards inflation, we suspect factors other than changes in monetary policy will be driving gold stocks for the foreseeable future. With that in mind, we thought our comments contained in the March Top 20 Gold Stock report remain timely for investors.